Meditations Retreat for beginners and beyond! 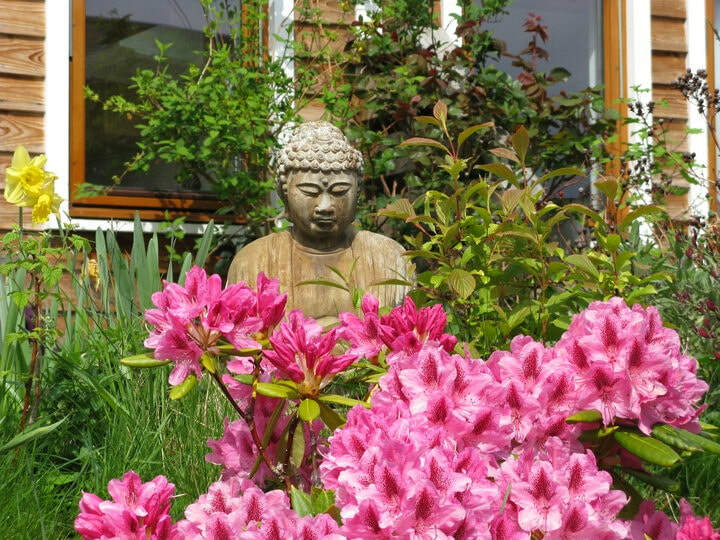 Essence of Meditation is a weekend retreat with an introduction on basic Buddhist meditation techniques. You will be introduced to a variety of meditations, such as; breathing, mindfulness, visualization, and analytical meditation. All of these different terms will be explained, as well as what kinds of skills we develop in meditation and how these might also be useful in our daily lives. There will be a combination of meditation, introductions, and discussion. ​You will get access to online reading and audio teachings, to support your ongoing practice at home. This weekend is an excellent introduction to meditation for those who are new, as well as a highly appropriate for those who have a current practice and wish to deepen it. Involved with the Dharma since 1987, Margo has studied and practised both in the east and the west. She is an FPMT registered teacher for Discovering Buddhism. She has taught "Buddhism in a Nutshell", "Meditation 101", and Discovering Buddhism. She spends one month a year in retreat, and is keen to bring the Buddhist teachings and practices into our western culture, our lives and hearts through evening classes and retreats. She lives in the Findhorn Community since 1991, and she started the Togme Sangpo study group with the encouragement of her main teacher Lama Zopa Rinpoche. Meals: bring your own lunch.